Two goals from Raheem Sterling helped Manchester City maintain their winning start to the Premier League season, as they beat West Ham United 3-1 at the Etihad Stadium. 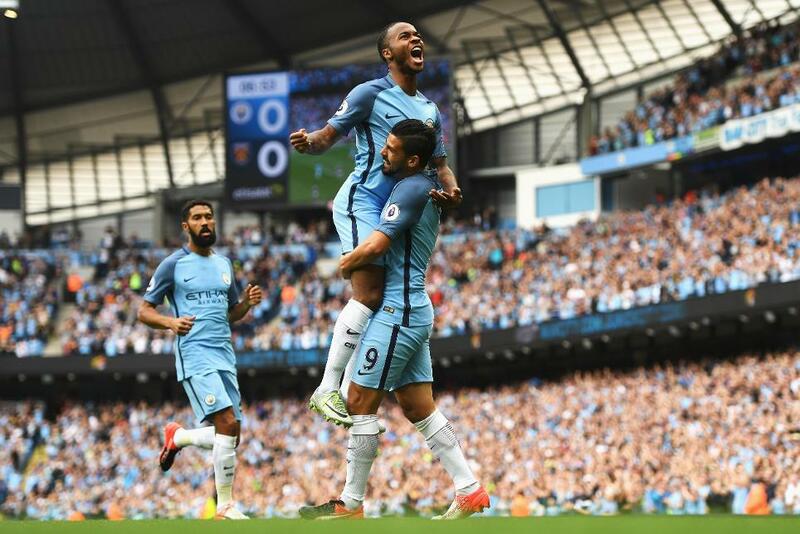 Sterling slotted in on seven minutes after a slick move, finishing with Nolito’s cutback to the England international, which put Man City level with Chelsea and Manchester United, who they visit on 10 September, at the top of the table. Fernandinho then headed in from Kevin De Bruyne’s free-kick to put City 2-0 up, and they could have added to that with some scintillating football in the first half. But Michail Antonio scored with a far-post header for the second successive league match to make it 2-1 just before the hour mark. Sterling then ended any chance of a fightback when he turned past goalkeeper Adrian and prodded in City’s third from a tight angle, earning Pep Guardiola his third straight Premier League win as their head coach.